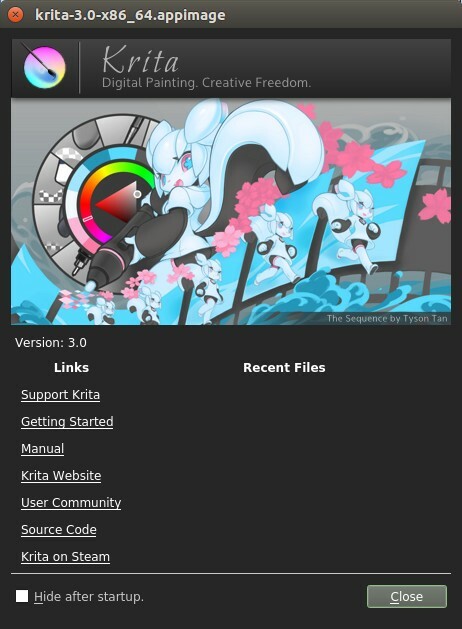 Krita Desktop is a free an open source painting and sketching application for windows, Linux and Mac OSX. It is mainly for concept artists, illustrators, matte and texture artists. You can Open the PSD files and you can also Load and save to PSD files. It comes with brush stabilizers and Pop up Palette. The brush stabilizer is a useful feature for shaky hand. You can customize your brushes with 9 unique brush engines.You can import brush and texture packs from other artists and share your own tools to outhers. It comes with drawing assistant Tool that comes with 9 unique assistants to help you make that perfect shape. It also comes with mirror tools and layer management. It supports full color through LCMS for ICC and OpenColor IO for EXR. You can increase the speed of some process by enabling OpenGL. 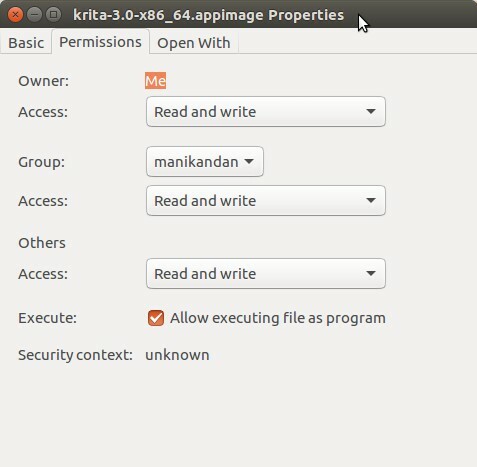 Go to the Krita Desktop download page and download the .AppImage file in the Linux download section for the latest version of Krita Desktop for your computer according to your system architecture. (32bit or 64bit). 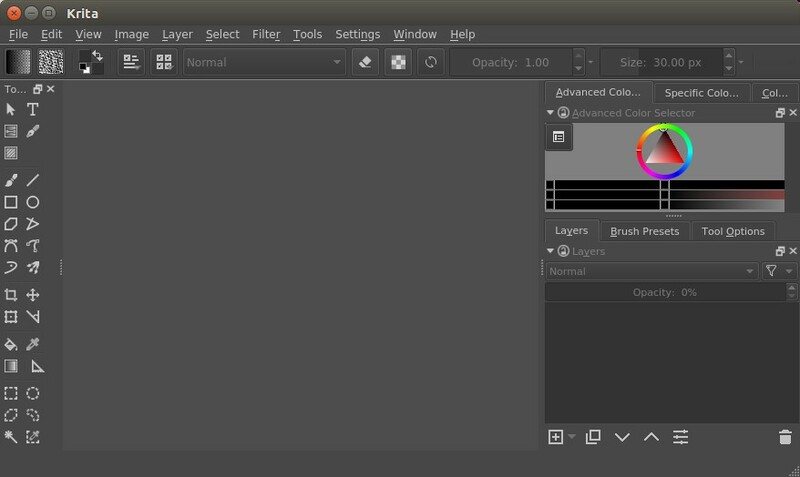 For Ubuntu 12.04 you need the appimage that is built without support for OpenMP. The default download folder is Home->Downloads in ubuntu. Here the downloaded file is krita-3.0-x86_64.appimage. Right click on the file and select Properties. Open your terminal. To open terminal click the Dash home from unity launcher.And type terminal in the search field. And click Terminal. Type the below command in the terminal and hit enter. Then type your ubuntu password. thats it.